Losing your keys is one of the worst experiences you could have especially if you are out of your house when you lose them! But to avoid all the stress and agro of not being able to enter your own home without a professional locksmith we feature a range of key safes to store your keys in while you are out! But they don't just store your keys; it protects them from people who are attempting to use them for example, if you're keeping your valuables in a safe that requires keys, you can then use a key safe to secure the keys for your valuables! 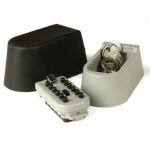 Key safes are commonly used to securely hold keys to a house to allow carers to let themselves in. Without a key safe a vulnerable person would have to give out not just one, but many keys to their home, a system which would be wide open to abuse. 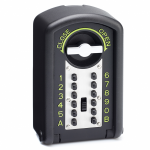 Obviously, the purpose of a key safe is so that you can gain entry without carrying a key everywhere so within our range you will find mechanical combination and digital locking types meaning that to allow someone entry all you need is the code. We try hard to make sure we feature key safes from high quality manufacturers such as ABUS and Burton Safes so they are tailored to your needs. 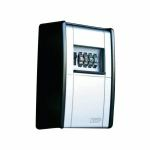 What is also great about these safes is that they are very competitively priced. 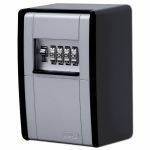 Once you have found the right key safe for you why not check out our other ranges such as padlock cabinets and budget key cabinets.